Who wouldn’t like to have his skin analyzed and get the best treatment possible? Before we splurge, though, it is but proper to know who to run to and seek for his expert opinion. When to consult a dermatologist? And what skin problems are better addressed and solved by an aesthetician? A dermatologist can better address concerns on all skin care problems from skin cancer, moles and other skin growths, eczema, psoriasis to rashes. He is trained to perform fillers, injections, and laser treatments. He is a doctor. An aesthetician, on the other hand, takes care of microdermabrasion, extraction, pore cleansing, exfoliating treatments, radiofrequency procedures, skin irregularities treatment among others. He does a skin analysis and cleansing through non-invasive procedures and non-prescription products. He is not a doctor but attended a formal training to become a medical esthetician. 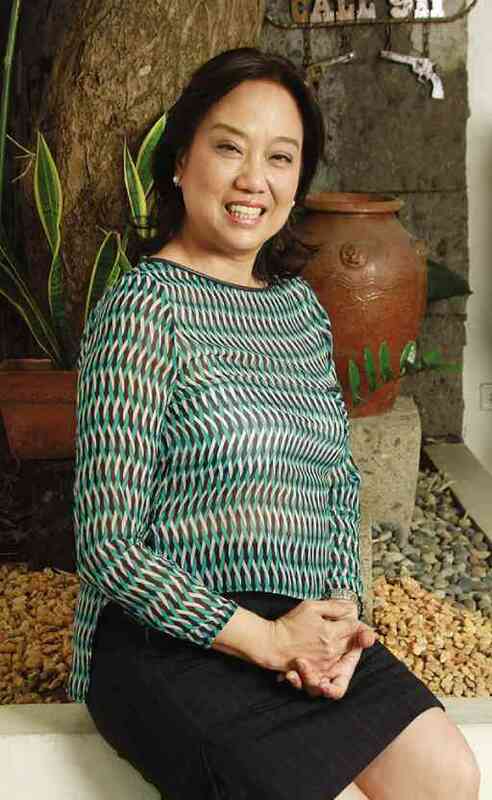 She is Ms. Sylvia Cancio, a New York-based Filipino aesthetician. And the skincare clinic she co-manages is the Piel Acne and Skin Center. Piel is a Spanish word for skin. At Piel Acne and Skin Center, the estheticians specialize in acne treatments without the use of drugs and antibiotics. I came there one rainy afternoon and just like other skincare clinics, I was oriented about my acne condition. But unlike others, they give non-invasive solutions. They use light chemical peels for skin rejuvenation and skin resurfacing for all skin types. Aside from pimples, they also help in anti-aging concerns and address pigmentation problems. And just like in their New York branch, they use a lot of technology to provide treatments that bring back skin health. And the best thing about their skin center? All these treatments are delivered by professionally trained aestheticians. I was told that I do not have any pimples anymore but I got some flat brown dots left behind by those pimples. And to remove those scars, I need at least five sessions of microdermabrasion. Microdermabrasion is a non-chemical, non-invasive procedure that uses tiny rough grains to buff away the surface layer of the skin and reveal a younger, healthier-looking one. 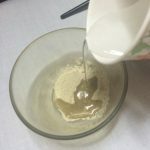 Having had gone through a number of treatments and skin products at other dermatologists and skincare centers, I thought microdermabrasion would be enough and some skin products I need to buy from them. Before my microdermabrasion, I was given an Enzyme Peel. 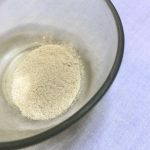 Enzymes are organic substances which aim to revitalize skin and return the youthful glow and feel to the face. They can also slip into the skin to help cleanse pores and improve skin tone and texture. 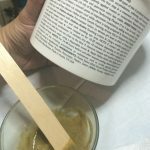 Through the enzyme peel, dead skin cells can easily be removed which will eventually lead to the promotion of younger cells, and may also diminish scars, stretch marks, age spots, fine lines and even discoloration. Enzyme peel will prepare my skin for microdermabrasion. Spread masque over face and leave for about 10-20 minutes. I am happy that I was invited to try the services of Piel Acne & Skin Center. They educated me on my acne condition. And I was told they will closely monitor my progress and make adjustments when necessary to clear my skin as quickly as possible. I hold on to their commitment that I will see results within 12 weeks. 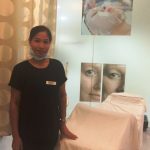 It has always been Piel Acne and Skin Center’s vision to be a major provider of professional, non-invasive skincare services in the country at the most affordable prices in order to reach the greatest number of people. They hold true to that commitment. 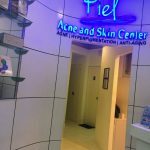 Try Piel Acne and Skin Center and enjoy the clean and cozy atmosphere of their skin center and the personalized treatments performed by their highly skilled aestheticians, all personally trained by a New York licensed aesthetician. Love this!! I always thought getting professional services in this area would be beneficial but I have yet to take the plunge! Awesome! Wish I had this quality service in my city, Montreal! Great review! 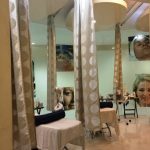 I’ve been to an esthetician before, but I’ve been considering it lately! Great article. I always try to stress the importance of good skin care to my clients. Finding a great aesthetician is the best way to go. If you are near the place, try to have a consultation. They might help you with your skin spots. Great info and tips, wish I lived closer! That would be indeed great. Sounds like a great place to go for services like these. Thanks for the recommendation. I have never had a facial. It sounds so relaxing. I seldom have facials, too. But when you try it, it is indeed relaxing. Feels good after. If I am ever in New York, I’d love to go in for a consultation. Sounds like a great place! Indeed a great place. Amiable aestheticians and cozy place. Very relaxing. I want to go to New York just because of this. I wish I were there. Hope they have a new branch near yours then. I def. need to go here! As a fellow new-yorker, I need a good face scrub and now i know where to go! Yey, give Piel a try and you might have found the right skincare center for you. A trip to the derma can be very expensive especially when it comes to their products! I think it’s nice that a clinic has lower rates compared to others. I hope the treatment works well! I do hope as well the treatment be effective on me and others. But i believe their services is at par with the best. Oh, nice. I am so glad that there are many Filipinos like her who wants to serve other people to have a better and healthier skin. Yes, such a noble intention. Glad to see Filipinos excelling in their respective fields all over the world. You are lucky to be invited to try them out! Yes, love the thought that Filipinos do work hard and made name for themselves. It looks like you had a great experience. I’ve considered light therapy, but wasn’t sure of the price. It was a great experience. The aestheticians are amiable and the place is cozy. I sure could do with a visit, I love microdermabrasion! Having suffered from teen acne badly, microdermabrasion is a life saver! Yey, im seeing the light now that truly, microdermabrasion is the solution. Yes, visit them. They might be of great help. It’s so nice when you find a place that works for you. I’m glad they helped you! Oh, nice service. Ney Yorkers must be really very lucky. I wish we have one near. Having an effective skincare center near your place is indeed a great find. Hope they expand and prefer your place or there be a reliable skin center to be launch soon near yours. Sounds like you got a great treatment! The older I get, the more I realize how important our skin is and how getting treatments can really make a difference! Me, too. Now, i fully understand the importance of great skin which i seldom give importance before. Looks like you enjoyed your treatment. Will plan mine soon! Sounds like you had a great treatment, This is so interesting for me I want to visit. Great review! Would love to visit a place like this and have them take care of my skin!